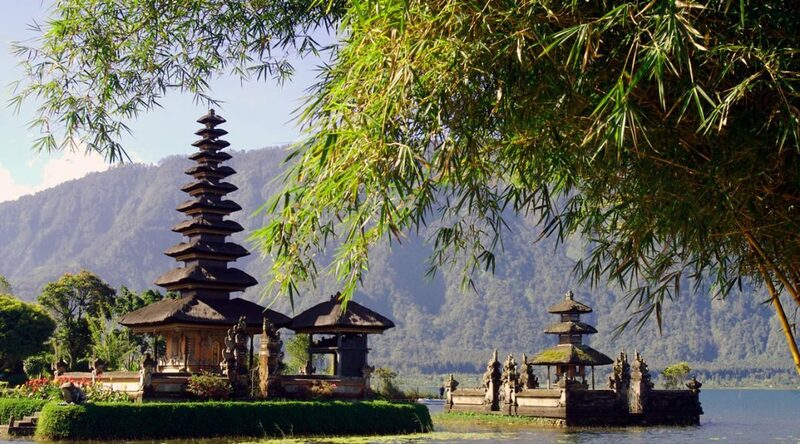 Since time immemorial, Bali has been known for its glittering seas, exotic cuisine, and golden sands. But that’s just the tip of the ‘sand’ berg. There’s much more to Bali than just resorts and beaches, especially for golf lovers who will find everything they’re looking for in this tropical paradise – from challenging courses to easier ones for beginners. Draped with stunning natural beauty and different degrees of difficulty, Bali golf courses are some of the finest you’ll find. The best part about golfing in Bali is that you can combine a beautiful island getaway with a round of golf amid stunning mountainous scenery and meandering countrysides. Bali has some of the most challenging courses set against the backdrop of beautifully maintained fairways and sprawling testing greens. Enjoy the sun and sand of the beach and still get in a few holes on a golf course in a single day. Warm year-round temperatures make this the perfect getaway at any time of the year. Bali Beach Golf Course is an interesting 9-hole course fringed with thick trees, swirling sea winds and protected greens. With no severe undulations and good putting surfaces, this course is the ideal choice for golfers of all levels. Offering breathtaking views of the glittering Indian Ocean, Bukit Pandawa Golf & Country Club is a par-3 18-hole golf course that interlaces with ocean cliffs and elevated ridges. Occupying a central location between several 5-star hotels, this golf course with its natural landscape and intricate greens is a popular choice amid local and international golfers. Handara Golf & Resort Bali is an 18-hole golf course and is considered one of the most spectacular worldwide. Enjoying an elevated setting in lush highlands within a volcano crater, this golf course astonishes with its beauty while catering to golfers of all skill levels. Enjoy a beautiful day in cool temperatures while taking advantage of this stunning golf course. Why settle for just a holiday when you can combine it with your favorite sport? Bali golf packages are perfect for avid golfers who don’t have enough time to combine two different types of holidays together. With these packages, you won’t have to worry about doing any major research because most of the groundwork has already been done for you. You can even ask for a few customizations to suit your needs if you wish. Whether you’re a beginner or an expert golfer, there’s a course and holiday package that works perfectly for you in Bali.